Joe Gibbs Racing driver Busch told the media that NASCAR had “taken the driver skill away from the drivers in this package”. Busch added that he expected Cup series racing in 2019 to be “more of a mental game, a lot more of a chess match, thinking how you make moves, how daring you’ll be”. 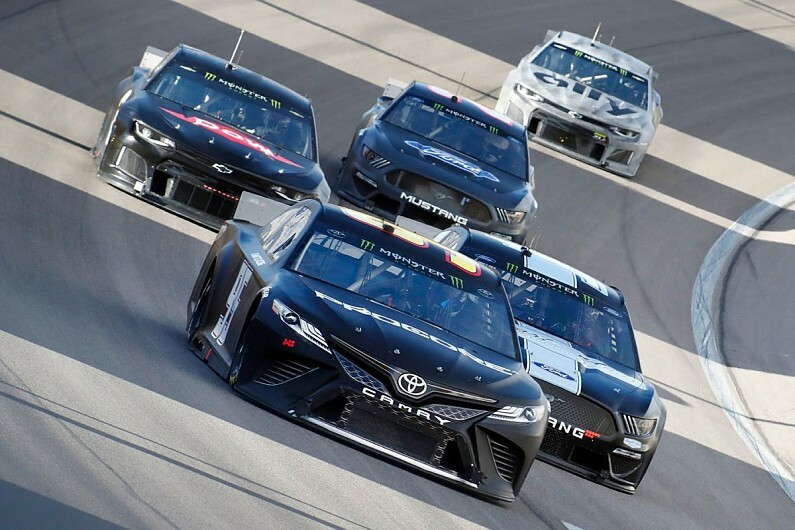 Responding to Busch’s comments, NASCAR’s vice president for innovation and racing development John Probst said: “These drivers, some are going to love it, some are going to hate it, no matter what we race. “I was just encouraging fans who are on the fence to give it a try, I think they are going to be pleasantly surprised at what they see at the race track. “For the drivers we know who don’t like it, they are very good at what they do and they get paid a really good chunk of money to do things that take a lot of talent. “If they want to spout off about [this racing] not needing a whole lot of talent, then eventually that will hit them in the pocketbook, too. NASCAR’s new package has so far been tested at Fontana and Las Vegas, with Goodyear tyre testing offering unrepresentative and limited additional running for select teams. Stewart-Haas Racing’s Clint Bowyer said it will take time for teams to adjust to the package. “The cars seemed to handle well,” he said. “There was a lot of wide-open throttle time, which we knew going in. “I feel pretty good so far,” he said. “Even in the first session, where they all started single-file all pretty spread out, you saw cars that weren’t good in the early part of the run, [but] by the time you got to about seven [laps] to go, they worked their way back to the front. “I’ve been doing this long enough to know even when days go rough, it’s probably not as bad as how you feel in the moment.